Llandwrog is a ‘model’ Estate village, which was created in two distinct phases by the Newboroughs in the middle of the 19th century. All of the Estate buildings, which are listed as Grade II, have a distinctly Picturesque Gothic flavour. 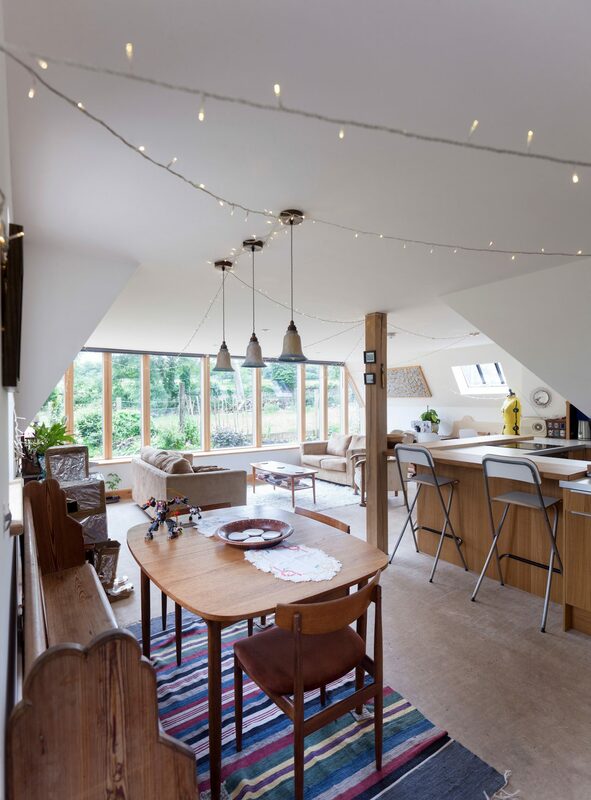 The overall character remains that of largely unspoilt rural isolation and the attractive village is within a designated Conservation Area. 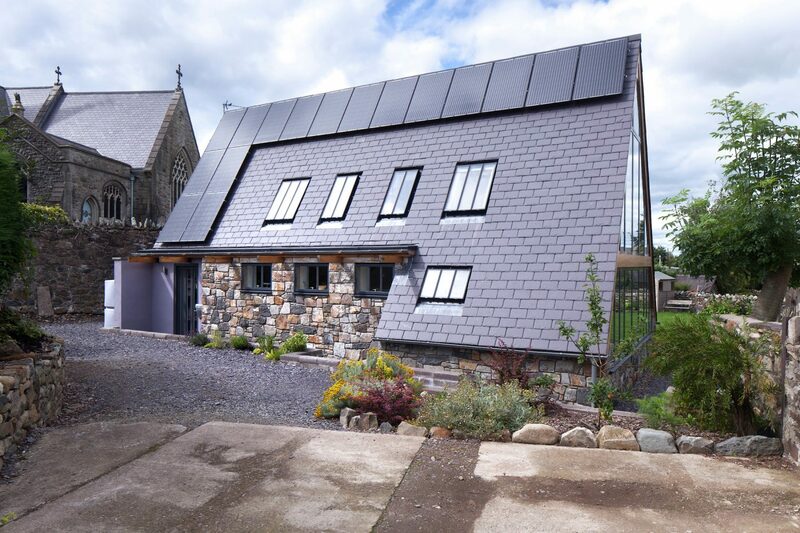 Our clients commissioned us to design a new dwelling on a sensitive site adjacent to St Twrog’s Church. 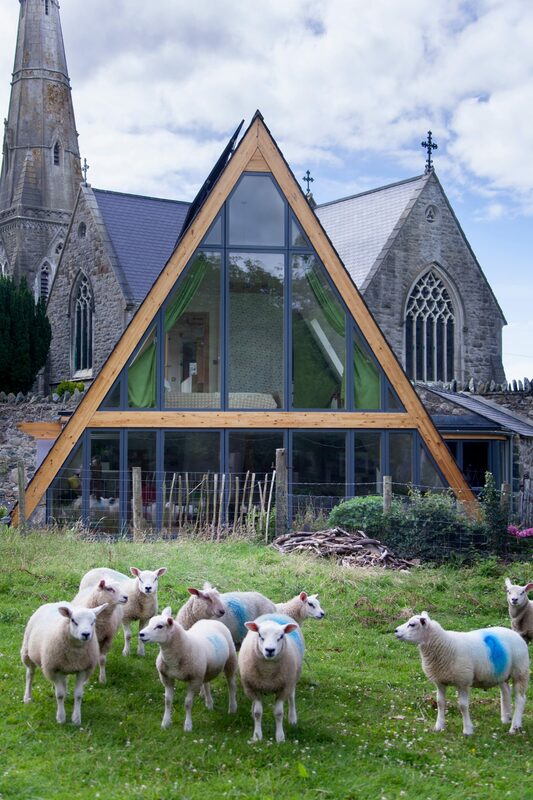 We worked closely with our clients to achieve their aspirations for their family home, reflecting the local vernacular and sensitively paying homage to its largest neighbour, the church. 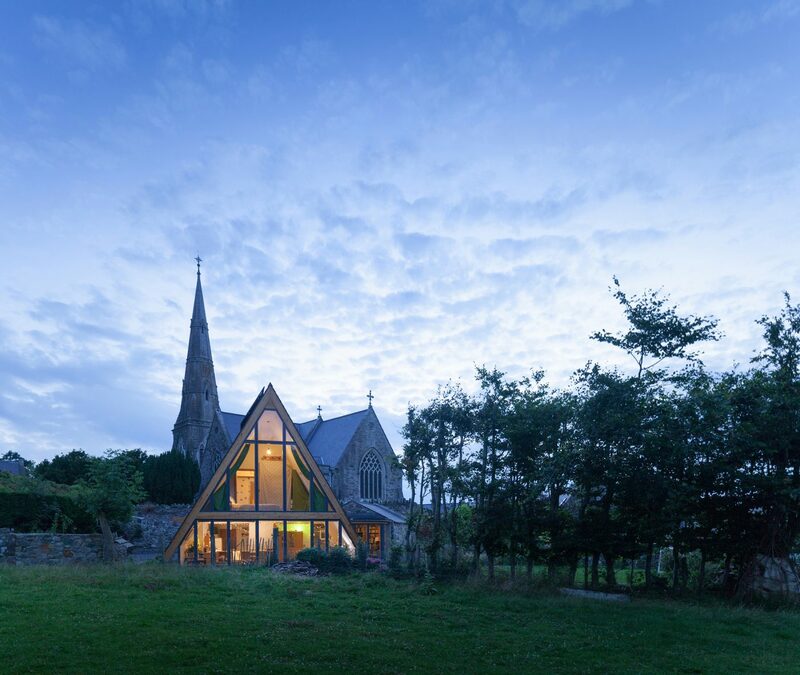 Whilst careful not to mimic its surroundings, the new A-frame design was inspired by this domestic vernacular and also paid homage and sought to respect the east gable of the church. 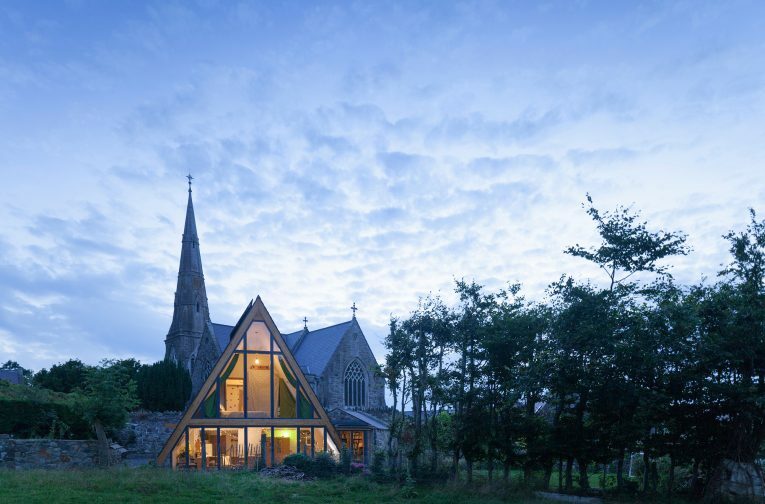 The humble form allowed for a simple, low-cost construction and the tapering mass does not suffocate the site, allowing unobstructed views of the principal vistas to and from the church. 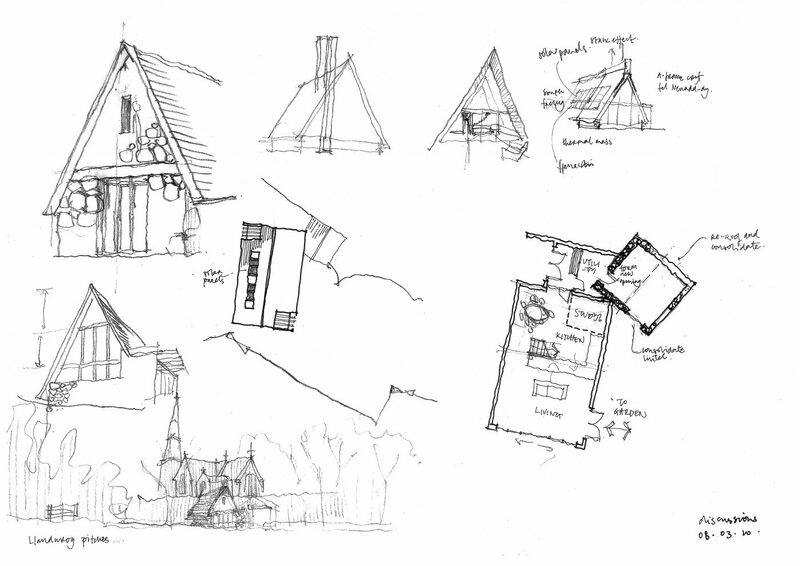 We worked with the Design Commission Wales (DCW), discussing massing, landscaping, and the appropriateness of form against the usual new forms in the Conservation Area. 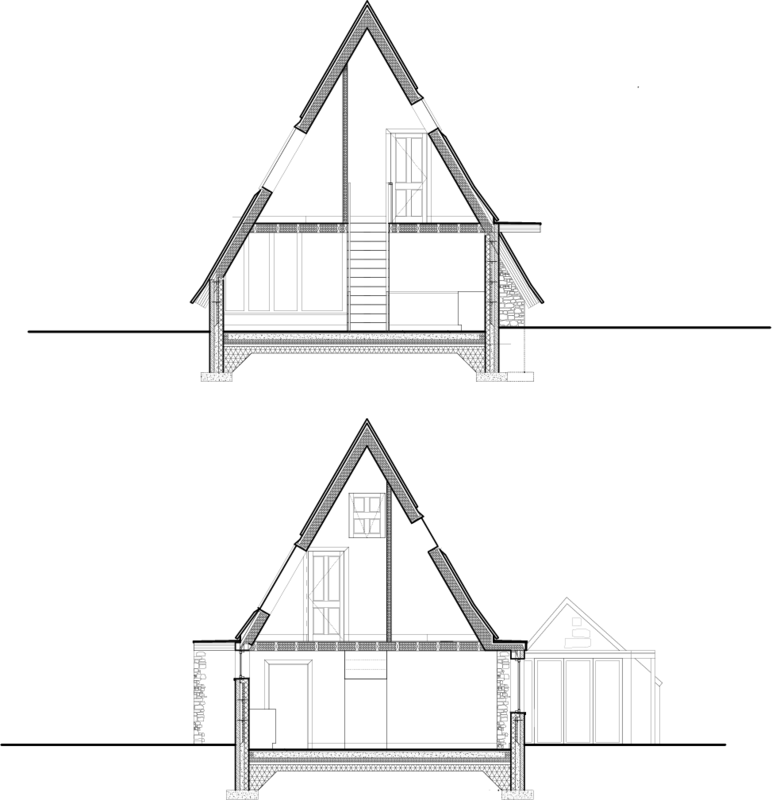 The striking design was retained, met local policy specifically, and also sat comfortably with the massing and the church and its context. 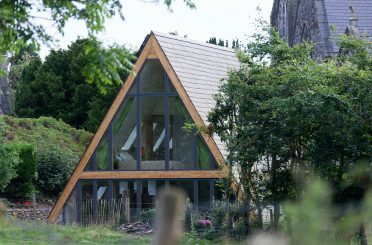 The A-frame design also meant, critically, that the project could be realised at a total of £170,000. 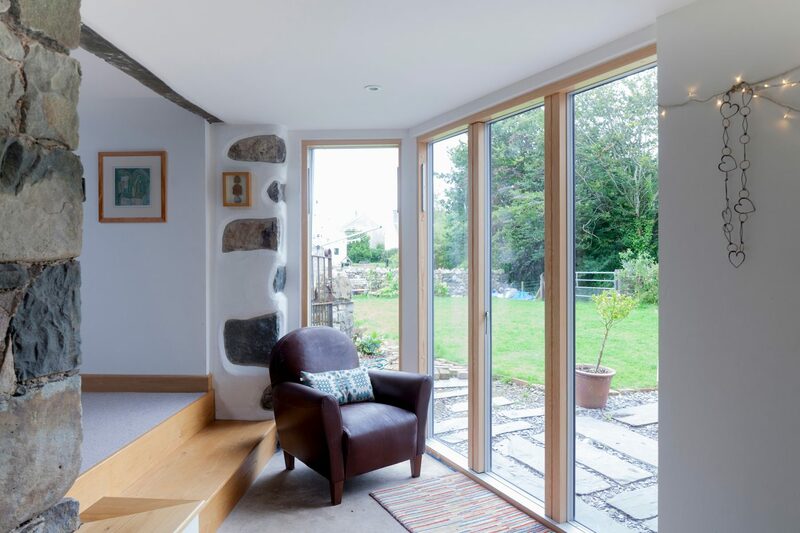 The new family dwelling enhances its setting within Llandwrog by reflecting the village aesthetic to stimulate contemporary sustainable design.